Baylor University’s online Doctor of Nursing Practice Family Nurse Practitioner (DNP FNP online) track prepares actively practicing RNs to lead the delivery of primary care to patients across the lifespan. 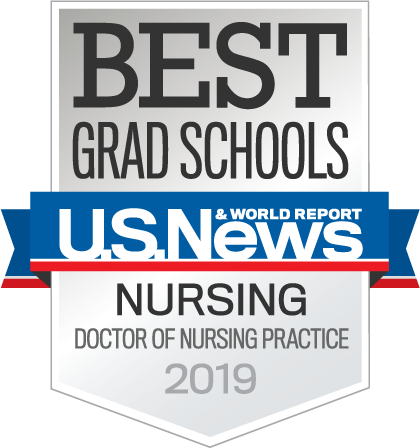 Graduates are prepared as exemplary leaders and transformative DNPs who can innovate, provide care to underserved populations, implement new treatment methods and improve patient outcomes for individuals, families and entire communities. The online DNP-FNP program track focuses on developing nurses as holistic caregivers through an advanced curriculum that includes an in-depth study of pathophysiology, assessment, informatics, pharmacology, healthcare policy and business, ethics, epidemiology and servant leadership. The Doctor of Nursing Practice online program is designed as a direct response to these changes and represents the evolution of advanced practice nursing education. As graduates, Baylor DNP FNPs are firmly ahead of the changing standards for advanced practice nursing. As a Baylor nurse and a Doctor of Nursing Practice (DNP-FNP), graduates are truly prepared as holistic and autonomous advanced practice nurses. They are able to innovate, think critically and create change as visionary and exemplary nursing leaders. Upon successful completion of the course of study, graduates will be eligible to sit for national Family Nurse Practitioner certification examinations offered by the American Nurses Credentialing Center (ANCC) and the American Academy of Nurse Practitioners (AANP). The program of study conforms to the education guidelines from the State of Texas and the National Organization of Nurse Practitioner Faculties (NONPF). They are thought leaders who are thoroughly prepared for functional leadership and independent practice in their area of specialty. Learn more about this track by downloading the program guide. Best-Nursing-Colleges.com ranked Baylor as the #11 Best Nursing College in Texas.